Slow progress - but progress never-the-less! Over the past 12 months the sight-tube has been manufactured, together with the end stops for the counterbalance guide-bar and adjustment screw. 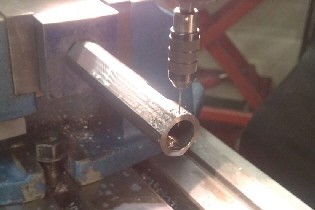 The sight-tube required the machining of the side and base flats along the tube, and the drilling of eight 0.8mm diameter holes for the cross-hairs. This was the most difficult step - and three versions were attempted before the final method was determined to be riveted ends. 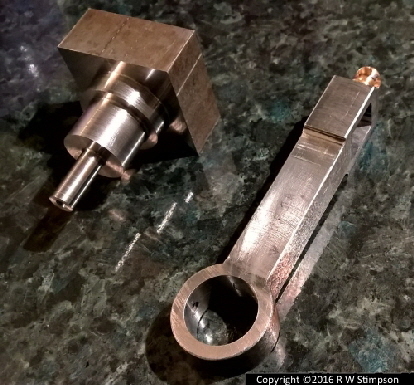 (The other two were soldered/brazed and centre-punched). 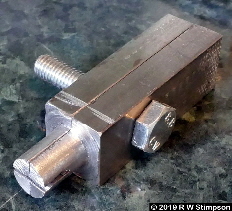 A special wire clamp cross-piece was made to be inserted into the bore, where it was then tightened rigidly against the fine wire (modern welding rod). 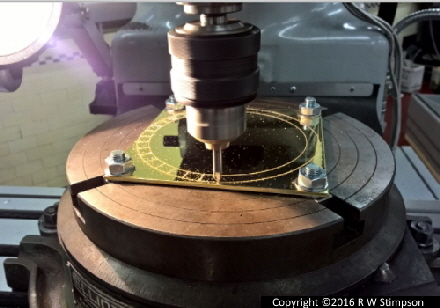 This kept it rigid and allowed the outer ends to be peened over to make countersunk head rivet ends to the wires into countersinks created when the holes were drilled. 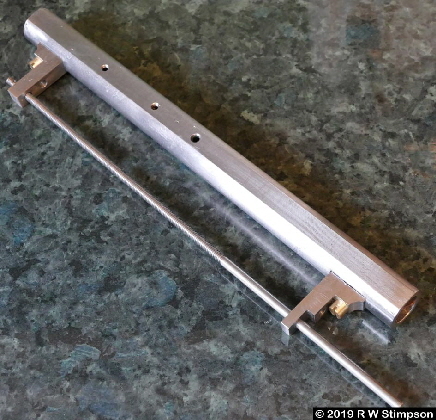 The support arms have been manufactured from mild steel (in William’s time it would have been iron or wrought iron) and these items are approximately 3/4” thick. All of them were machined from 2” square bar stock! 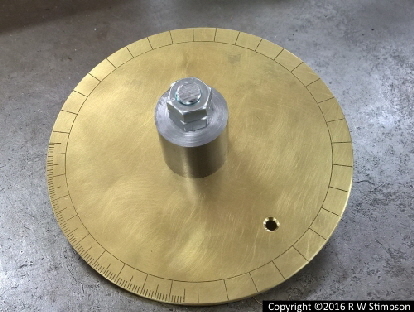 The compass plate is made from 1/8” brass plate. You can compare the parts with the original drawings made by William shown below. 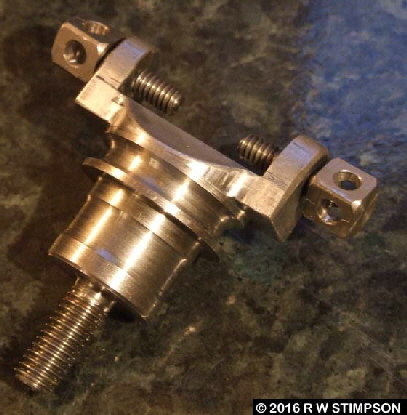 Above right there is the main brass graticule, the graticule support arm and the trunnion mounting as a part-machined block and also as a finished item with two trunnion retaining screws in part-finished form. 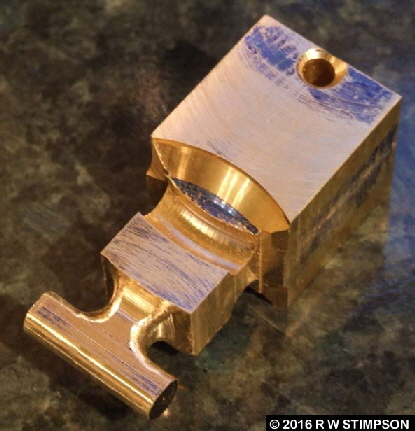 The brass block above is the trunnion in part-finished form. (This was later modified to improve its strength - see top photos). The main support arm above left is now completed with its riveted in place thickening pieces (invisible csk head flush rivets!). 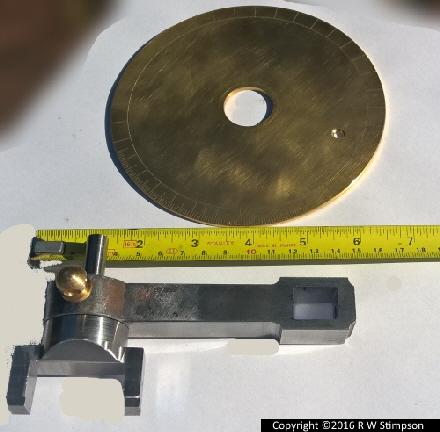 All of these parts are made from brass except the two silver steel location pins seen in the centre of the photograph. 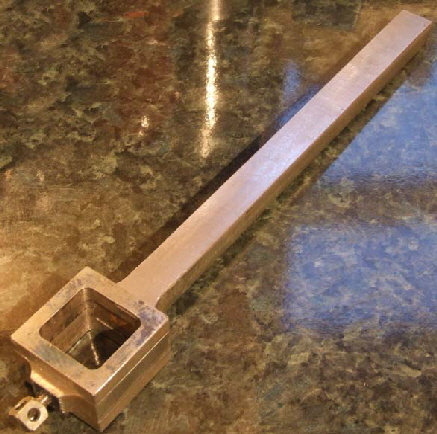 Side bars are 1” x 1/4” brass bar. when reviewing the original 1832 plans I wondered why the bases of the side bars were flat - see below - now I know: It will not stand upright during assembly if they aren’t! 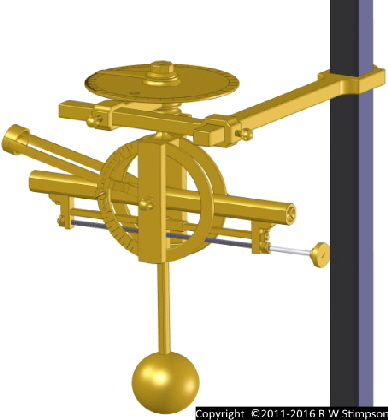 In September 2015 the author started to construct a full-size metal functional replica of William Kennish’s Marine Theodolite. What is most exciting about this activity - effectively experimental industrial archeology - is that it is actually being undertaken at the William Kennish Engineering Centre workshops by way of Night School / Evening classes! This is only 18 x 3 hours per year! The modern CAD (Computer Aided Design) model rendered as figure 96 on page 182 of the book is actually a fully designed Solidworks CAD model of approximately 50 components. To give an indication of scale, the counterbalance ball is approximately 2” or 50mm in diameter. The vertical support post is 1¼” square. 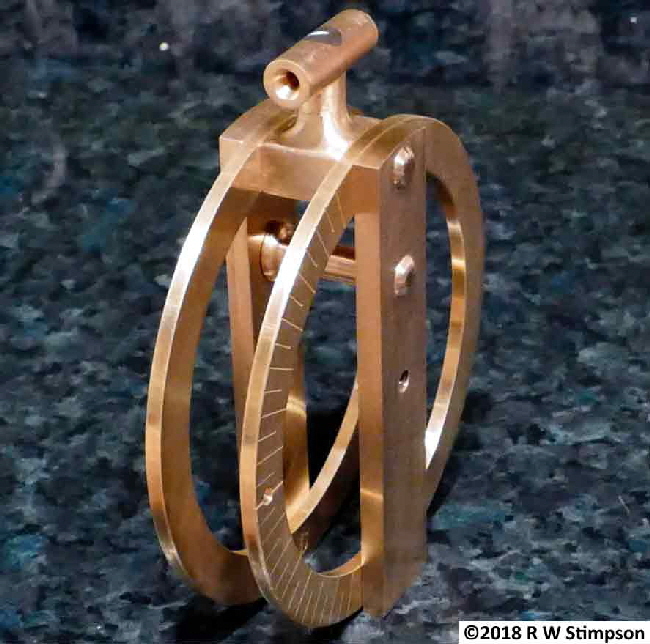 This scale was based upon the sizes of existing marine navigational instruments and telescopes of the period which are on display at the National Maritime Museum, London. 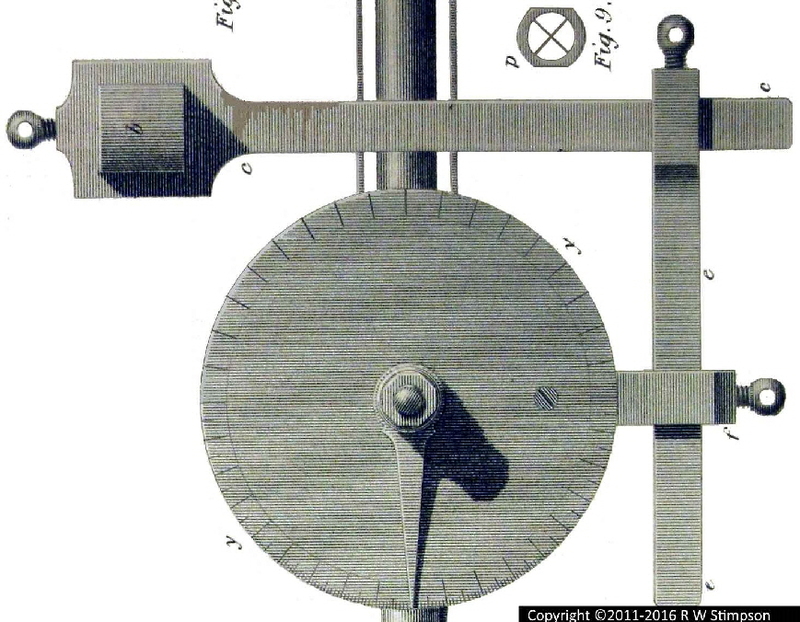 As this model is developed further photographs will be added and the viewer can compare these parts with the images on this site or in the book of the first version of the Marine Theodolite, which was detailed to the Society of Arts, Manufactures and Commerce in 1828 (published in 1832).